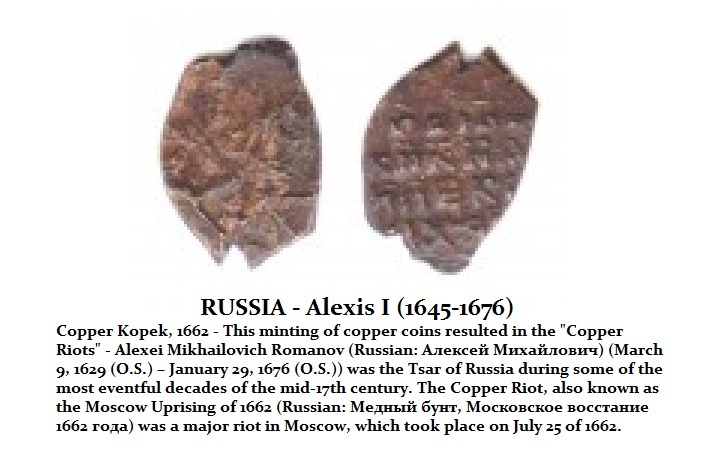 Copper Riots of 1662 in Russia are one of the great riots over money in history. The Russian government began producing copper coins and assigning them equal value to silver currency to meet expenses. The effort failed and silver vanished from circulation causing the entire economy to collapse. The copper money was naturally devalued in purchasing power and then there were widespread counterfeiting operations since the official value of the copper coinage became far in excess of the cost of production. The economy collapsed into a deflationary black hole as business shut down and unemployment rose dramatically. This erupted into what has become known as the Copper Riots of 1662. This was not an isolated incident confined to Russia. There was a shortage of precious metals going into 1662. It was most profound in Russia. 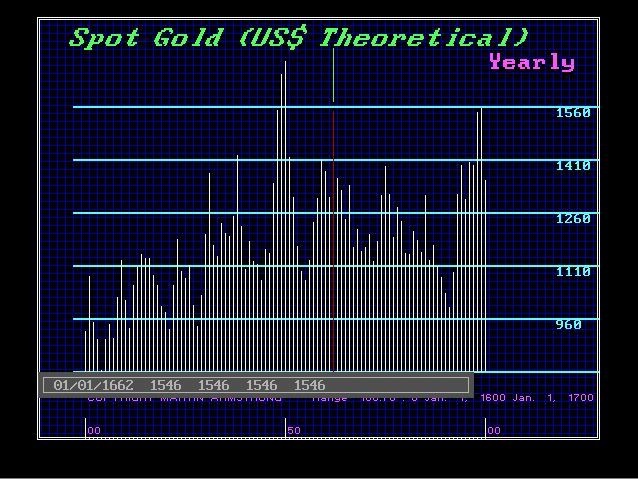 Nevertheless, the price of gold rose sharply from the low of 1655 in a 7-year bull market.